The 65th Sydney Film Festival has announced the first list of stars and filmmaker guests to attend the Festival 6-17 June. These distinguished industry guests will attend the Australian and world premieres of their films, walk the Festival’s red carpets, introduce their films and participate in talks, panels and Q&A sessions. Please note: for the most up-to-date list of festival guests, visit sff.org.au. The Festival, together with Vivid Ideas – part of the world’s largest festival of light, music and ideas, Vivid Sydney – will present five FREE Meet the Filmmaker talks at the Festival Hub and Treasury Room at Town Hall, and the Art Gallery of New South Wales. Altogether, the 2018 Sydney Film Festival will present a vast array of free talks, panel discussions and events, traversing a huge range of topics. 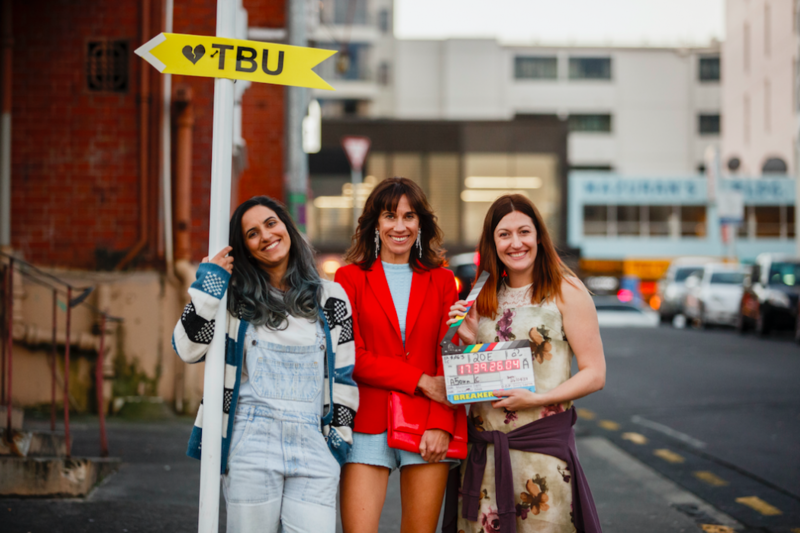 New Zealand writer-directors-stars Jackie van Beek and Madeleine Sami and Australian actress Celia Pacquola will present the Australian Premiere of their side-splittingly funny film The Breaker Upperers on Opening Night at the Festival. Van Beek and Sami will be part of a Meet the Filmmakers talk at The Festival Hub (Saturday, 9 June, 4:00pm) to discuss their film, in which almost all creative roles are held by women. Australian director Benjamin Gilmour, lead actor Sam Smith and producer John Maynard will present the World Premiere of their film Jirga, and will engage in an extended Festival Q&A at The Hub with Garry Maddox (Sydney Morning Herald) to discuss the extraordinary story of how the film was made in war-torn Afghanistan (Saturday, 9 June, 2:00pm). Presented as part of Vivid Ideas, Los Angeles-based Australian genre maestro Leigh Whannell (Saw, Insidious) will introduce a special sneak peak of his new cyberpunk-horror action thriller Upgrade at the Randwick Ritz, and discuss his career – from the legendary Saw franchise to Insidious – at a free talk at The Hub (Saturday, 9 June, 2:00pm). Leading Australian actress Marta Dusseldorp (A Place to Call Home) will attend the Festival as Jury Chair of the 2018 Lexus Australia Short Film Fellowship. The jury also includes Australian producer Greer Simpkin (Sweet Country), President of the Australian Directors’ Guild, Samantha Lang, Lexus Australia’s Vin Naidoo, and Sydney Film Festival Director Nashen Moodley. Australian director Robert Connolly will introduce the screening of the first two episodes of his highly anticipated series Deep State, with a stellar cast including Mark Strong (Tinker Tailor Soldier Spy), Joe Dempsie (Game of Thrones), and Karima McAdams (Vikings). Connolly will also join film critic, author, and former director of the Sydney Film Festival (1966 – 1983) David Stratton for this year’s Ian McPherson Memorial Lecture (Saturday, 16 June, 2:00pm) at the Festival Hub. Guests associated with Official Competition titles are: Bulgarian director Milko Lazarov and producer Veselka Goreczka (Ága), Italian director Laura Bispuri (Daughter of Mine), Paraguayan director Marcelo Martinessi (The Heiresses), Hungarian director Zsófia Szilágyi (One Day), and Indonesian producer Gita Fara (The Seen and Unseen). Thai auteur Pen-ek Ratanaruang (Samui Song) is also a Festival guest, introducing his film noir Samui Song, as well as joining a cast of Australian film writers to shed insight on the worldwide obsession with cinema at a free talk in the Treasury Room (Thursday 14 June, 6:00pm). The Festival will also host a Masterclass for filmmakers with British experimental artist Andrew Kötting (Lek and the Dogs) at Carriageworks (Sunday 17 June, 10am), discussing his creative process that integrates innovative and forward-thinking techniques. Award-winning NZ director Pietra Brettkelly (A Flickering Truth, SFF 2016) will introduce her documentary Yellow is Forbidden, which focuses on Chinese designer Guo Pei, best known for Rihanna’s iconic 27kg Met Gala dress. US director and curator Cameron Yates will attend the Festival to introduce Chef Flynn, which follows teenage culinary sensation Flynn McGarry’s rapid ascent from home kitchen to the cover of New York Times Magazine. Australian director Stephen McCallum and actor/screenwriter Matt Nable (Hacksaw Ridge) will introduce the screening of McCallum’s debut feature, 1% – a high-octane thriller following an outlaw bikie’s power struggle. Presented as part of Vivid Ideas, highly political Australian artist duo Soda_Jerk will attend the Festival to introduce their blistering cinema mash-up film Terror Nullius, with an extended Festival Q&A (Thursday 7 June, 8.30pm) following the film’s screening. Indigenous Australian filmmakers Dylan River (Finke: There & Back), Grant Saunders (Teach a Man to Fish), and Dean Gibson (Wik vs Queensland) will introduce the screenings of their films. Presented as part of Vivid Ideas, former funders and filmmakers from the From Little Things Big Things Grow Retrospective will also discuss 25 years of industry change at the Art Gallery of New South Wales (Sunday 17 June, 3:45pm). Australian director Richard Todd will present the World Premiere of Dying to Live, examining why Australia is lagging behind the Western world in organ and tissue donor rates. Todd will be joined by transplant recipient Holly Ralph for a post-screening Extended Q&A in the Treasury Room (Friday 8 June, 8:30pm), to further discuss the complex issues and policies explored in their documentary. Freak Me Out Guest Programmer Richard Kuipers will discuss all things freaky alongside Freak Me Out filmmakers at a free Talk at Dendy Newtown (Saturday 16 June, 7:30pm), presented by the University of Sydney. New Zealand actress-turned-director Miranda Harcourt and lead actress Erana James of supernatural thriller The Changeover will also attend the Festival to present their film’s Australian Premiere. Emerging women directors and industry trailblazers from Europe join Europe! 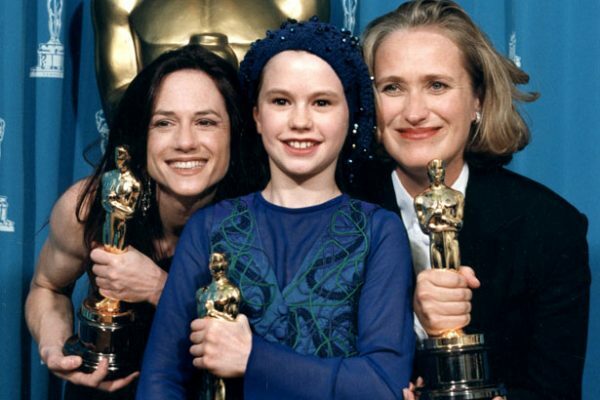 Voices of Women in Film. 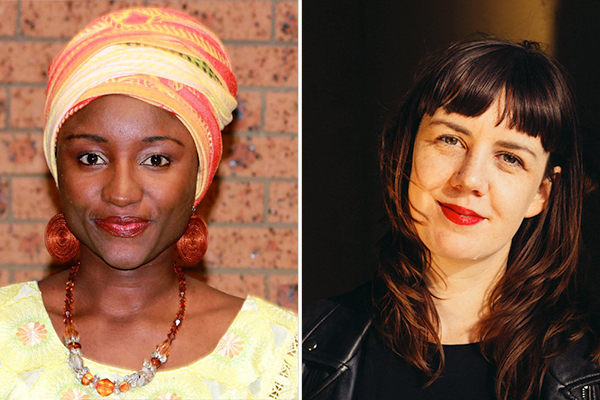 Presented as part of Vivid Ideas, industry guests from across the Continent will come to Sydney to introduce their films and take part in a public talk: In conversation with European Women Filmmakers (Sunday 10 June, 1:30pm). In attendance to present their films to Festival audiences are: Swedish filmmaker Isabella Eklöf (with Danish production Holiday), acclaimed Dutch director Nanouk Leopold and producer Stienette Bosklopper (Cobain), Swedish actress-director Fanni Metelius (The Heart), Austrian filmmaker Katharina Muckstein (L’Animale), Finnish filmmaker Virpi Suutari (Entrepreneur), Georgia’s Ana Urushadze (Scary Mother), Kosovar filmmaker Blerta Zeqiri (The Marriage), and Polish director Jagoda Szelc (Tower. A Bright Day.). Screenability guests attending the Festival to introduce their film will be: Australian filmmakers with disability Stevie Cruz-Martin (Broken), Dieter Knierim (Intimate Encounters 20 Years On), and Samia Halabi (Tip Of My Tongue), and Israeli filmmakers with disability Elad Cohen and Iris Ben Moshe (The Sign for Love), and Austria’s Birgit Gohlke and Petra Nickel (Stuttering – My Constant Companion). These guests will also discuss opportunities for filmmakers with disability at a Meet the Filmmakers session at AFTRS (Saturday, 16 June, 4:15pm). 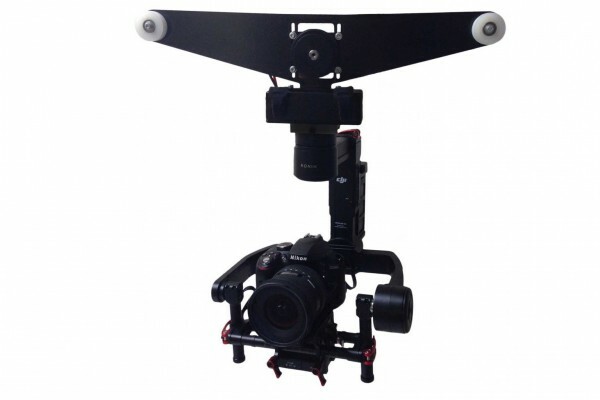 All Screenability filmmaker introductions and Q&As will be Auslan interpreted. From the Focus on Italy showcase, screenwriter Alessandro Valenti (The Ark of Disperata), and multihyphenate creative director Giorgio Ferrero and producer-cinematographer Federico Biasin (Beautiful Things) will introduce their film’s screenings. The full line-up of Sydney Film Festival 2018 guests can be found on sff.org.au.